We have something exciting to share with you on this beautiful Friday morning. 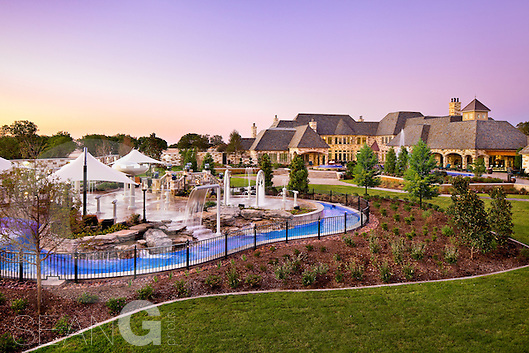 We recently finished up production on some images from an amazing pool/water park project in Texas — and WOW what a project. 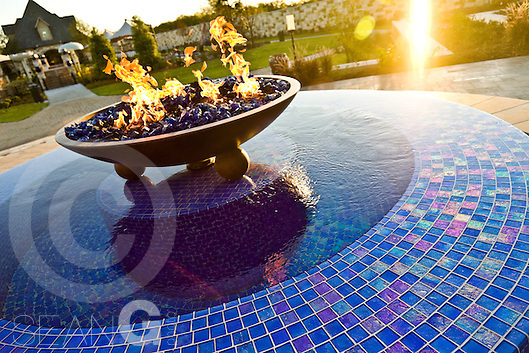 The project, designed and built by DFW luxury pool company Stonecrest Pools, features a computer-controlled, LED-lit, music-synchronized fountain at the center of the Olympic-sized pool, a full-featured water park with a lazy river and a custom-fitted infinity-edge overflow spa. 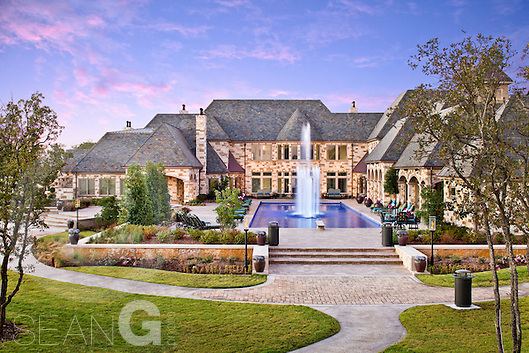 Truly an oasis, we’re proud to bring the images of this amazing home to you! Stay tuned for our cinematic motion production of the project later this month! Click the jump for more images. An overall view. Waterpark in the foreground, house and main Olympic-sized pool in background. 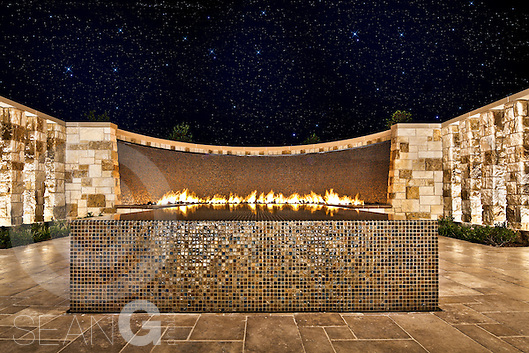 Spa retreat area with infinity edge overflow on all 4 sides – custom contoured to fit the homeowners – with water wall and fire pit. Incredible! 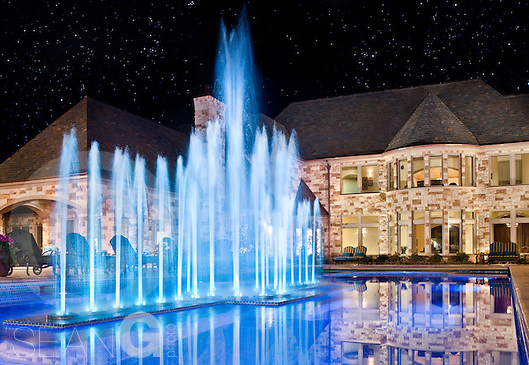 The fountain underneath the starry Texas sky. 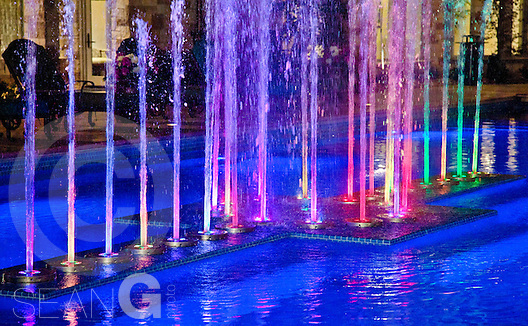 The fountain’s LED lighting system can create any color light imaginable! Posted in: Architecture, Commercial, Luxury Homes. 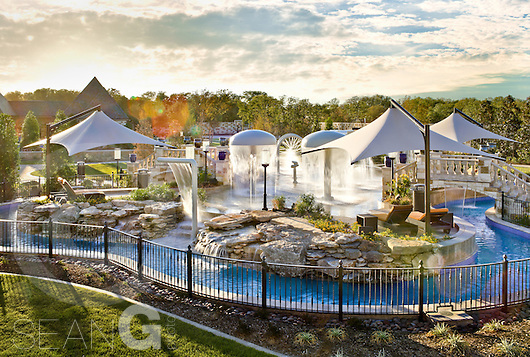 Tags: infinity edge spa, lazy river, luxury, overflow spa, pools, spas, spray park, Texas, water park. Sweet pictures of an amazing place! Those led lights, now that is something that will get people to visit. That spa with the fire place is a nice touch too.